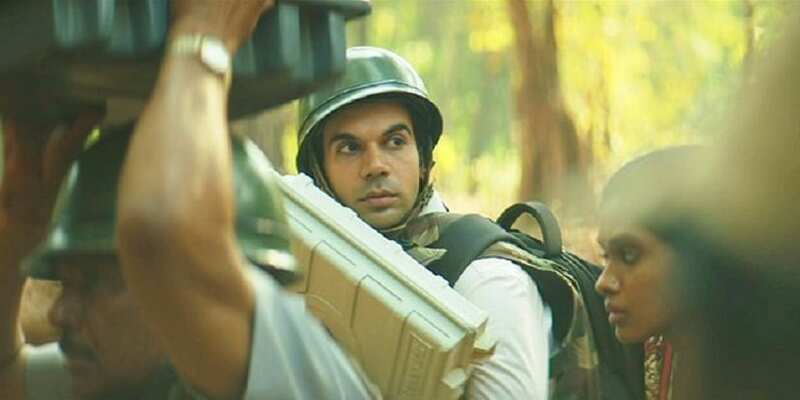 As the Indian film industry unanimously applauds the Film Federation of India's decision to select Amit V Masurkar's black comedy Newton as the country's official entry to the 90th Academy Awards, there are certain quarters that have expressed disappointment in their respective films losing out to the Rajkummar Rao-starrer. 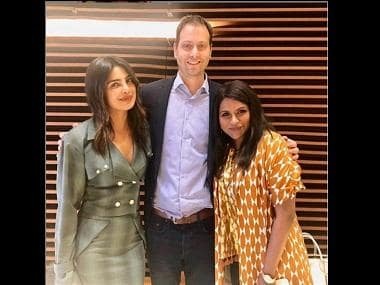 DNA reports that Rajesh Mapuskar, the National Award-winning director of the Marathi family drama Ventilator, the maiden production of Bollywood actress Priyanka Chopra, has said he, Priyanka and her mother Madhu Chopra were disappointed that their film did not make it to that spot. "I guess, Priyanka must be even more disappointed because she was always ambitious about the film. Had it been selected, she would have ensured that it was the most-talked-about film in the run to the Oscars, especially since she is already an established name there. Ventilator was always the favourite baby of their banner," says Mapuskar, as per the same report. Ventilator, in fact, has brought a lot of eyeballs to Priyanka and Madhu's production banner Purple Pebble Pictures. The film not only received a standing ovation at the New York Film Festival but also won three National Awards, including the Best Director to Mapuskar. While the same report states that it was one of the two Marathi films in the running for India's official entry for the Oscars, there is no word of confirmation that it was one of the three final films shortlisted for the same. There is little doubt that the ensemble film is a milestone in Marathi cinema. But does it stand out as a deserving contender for India's official entry to the Best Foreign Film category at the Oscars? If one looks at the past films that have been nominated from India in the category at the Oscars, there have been only three films - Mehboob Khan's 1957 film Mother India, Mira Nair's 1988 film Salaam Bombay! and Ashutosh Gowariker's 2001 historical drama Lagaan. All these films have two commonalities - they are in Hindi and are "issue-based films". Firstly, it is common knowledge that the Western worldview of Indian cinema has largely been restricted to Bollywood, which they consider as a genre in itself. They have often neglected not only the small budget films of India's parallel circuit but also its large pool of regional cinema, merely because of Bollywood's overwhelming appeal among the Indian diaspora audiences. Now, with the resounding reception of regional films like SS Rajamouli's war epic Baahubali 2: The Conclusion, Siva's spy thriller Vivegam and most recently KS Ravindra's action drama Jai Lava Kusa, the global box office (particularly the USA) is warming up to regional cinema too. While that gives non-Hindi films like Ventilator a level playing field in the international market compared to a Hindi film, there is a long way to go before the regional industries establish a stronghold globally. 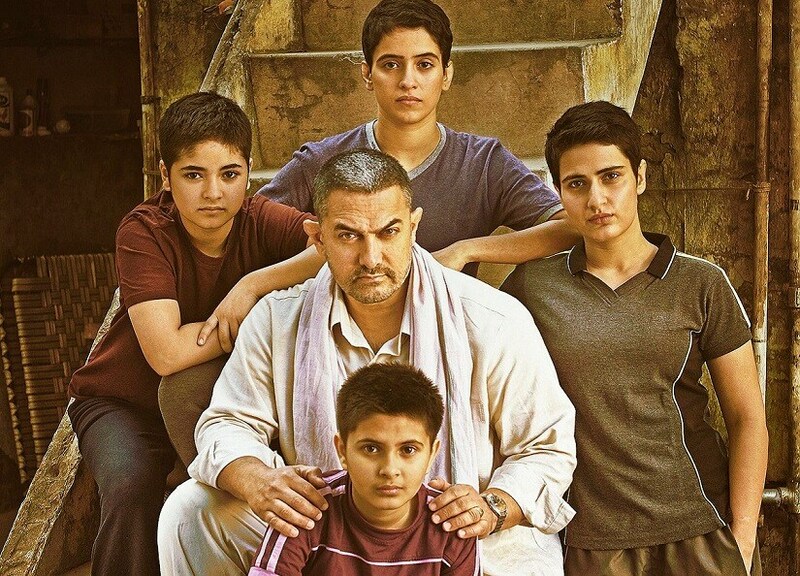 This is why an Aamir Khan's sports biopic Dangal fares far better in the global market (China and Hong Kong in particular) than even in India as the popularity of both Bollywood and a global star like Aamir add value and box office appeal to the Hindi film. Secondly, the reason why films like Aamir's Lagaan were nominated at the Oscars is also because they had an issue at the heart of their narrative. All these films addressed the issues of the downtrodden. Lagaan also commented on how the British colonialism exploited and suppressed the Indian rural population for centuries. A number of filmmakers have tried their hand at similar issue-based films but the reason they could not ape the same success or gain the same recognition was because there was no strong emotional catalyst in the film. Ventilator is extremely high on emotions but the narrative is limited to that. It revolves around what goes wrong (rather funnily) for an extended Maharashtrian family when their patriarch is hospitalised on the eve of Ganesh Chaturthi. The film revolves around family bonding but the issue, though universal, does not project itself as a larger one, pertaining to society as a whole. On the other hand, Newton is a semi-political satire on how the Central Reserve Police Force (CRPF) and other alleged agents of the political establishment manufacture the public opinion around the Naxal-hit areas of Chhattisgarh and how democracy has been reduced to a farce there. Though Newton, unlike Indian films that have been nominated at the Oscars in the past, does not have an emotional narrative woven around the social issue, it does not go about marching as a social crusader either. It delivers its message rather subtly, and with a pinch of salt, since it belongs to the black comedy genre. Newton is not considered a traditionally mainstream Bollywood film, but was received exceptionally well in the international film festival circuit, especially at the Berlin Film Festival and the Tribeca Film Festival. Newton makes for a refreshing change in India's choice for the Oscars. It is not as emotionally poignant as say Mother India and Salaam Bombay! are. It also is not as much of a spectacle as Lagaan is, since it is not a sports drama or a historical tale that would demand recreation of an era or edge-of-the-seat sports sequences. Newton is an intelligent black comedy that intends to address a rather crucial and swept-under-the-carpet issue in an understated manner. And it hits you hard. Unlike Ventilator, its appeal is not limited to emotional diarrhea, despite the fact that such a film would make for a more "entertaining" watch. Among other films in the running for India's entry to the Oscars were Baahubali 2: The Conclusion and Krish's Telugu film Gautamiputra Satakarni. Both are historicals and spectacles, the two factors that worked in favour of Lagaan but unlike the Aamir Khan-starrer, they had little to say for the benefit of society as a whole. Aamir's Dangal, which like his Lagaan, is both socially relevant and high on spectacle, given that it is yet another sports drama from the star. It is difficult to contest why it was not nominated instead of Newton, since the report by DNA quotes Supran Sen, General Secretary, Film Federation of India, confirming that it was part of the running. One argument could be the Academy's drive towards choosing simple issue-based films over spectacles. Given the difference in their tonalities, Rao's Newton could be to Dangal what Barry Jenkins' coming-of-age drama Moonlight was to Damien Chazelle's musical La La Land. The former won the Best Film award at the 89th Academy Awards contrary to the public expectation of the latter sweeping it away. Whether it is DC and Marvel flicks in Hollywood or Dangal and Baahubali in India, spectacle films are dominating the box office. Thus, there seems to be a deliberate drive to make the lesser known voices heard by a counter force. The report by DNA confirms that Shubhashish Bhutia's Mukti Bhawan, yet another film belonging to the parallel circuit, was also in the running. But once again, it boils down to how Newton brought to fore a social issue whereas Mukti Bhawan restricted itself to an emotional story about a father and a son. Just like the trade pundits would say for a commercial potboiler, Newton could very well be the perfect "package" that is required to make India's presence felt at the 90th Academy Awards.